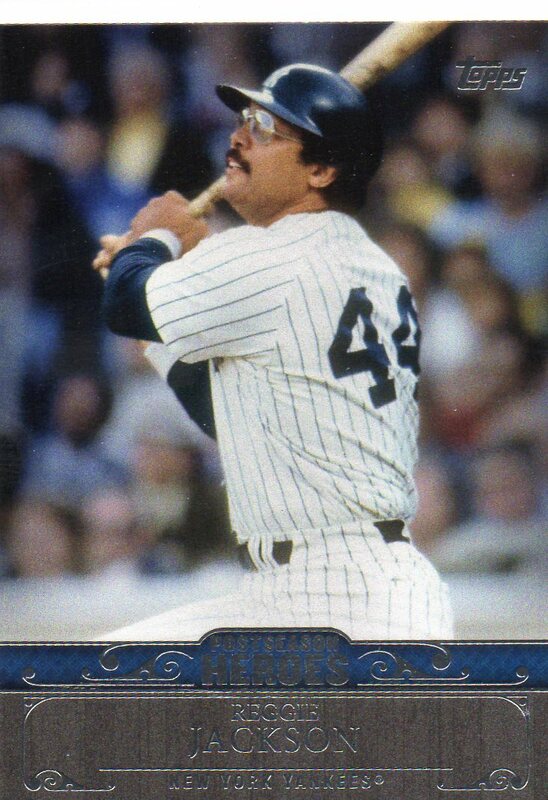 I had to grab one of these cards when I was building this ‘Postseason Heroes’ subset, so I naturally had to pick up another one for my Reggie Jackson player collection too. We can imagine who the Yankees were playing on this day. But, it would be so much nicer if we could make out a little more of the scene. This un-licensed card is not nearly as bad as some of the others in the set. 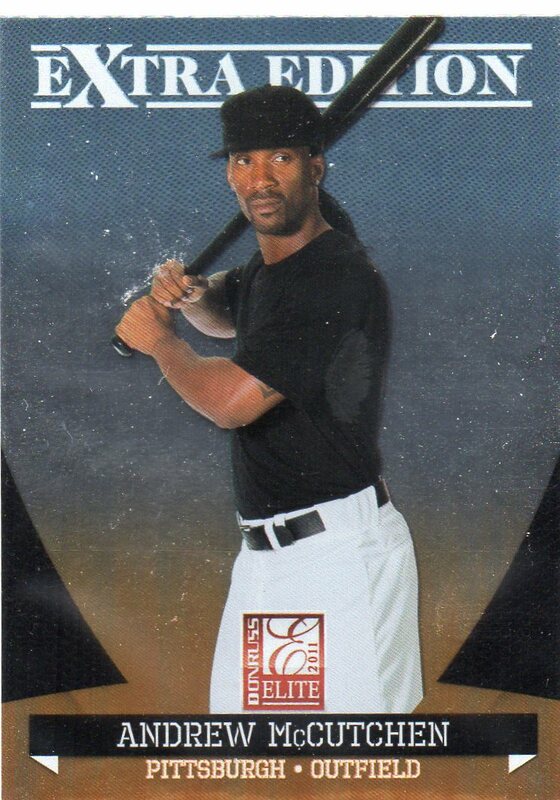 And I guess the way that the team at Donruss got around having to hire an air-brush artist was by taking pictures of the players while not wearing their jerseys. Wanna see a bad one from the set? Look no further than the Dustin Pedroia I showed off a few weeks ago. 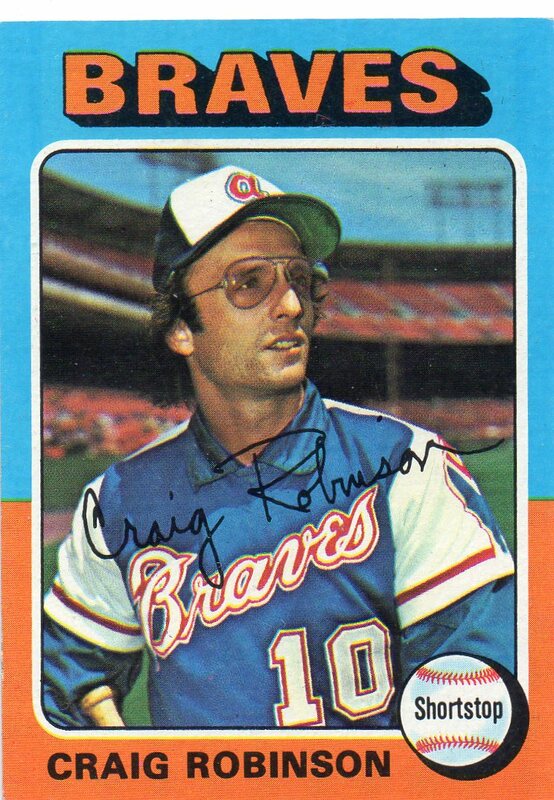 Notes From His 1975 Season: After coming off the 1974 season in which he appeared in 145 for the Braves, Robinson split time between the Braves and Giants in 1975 while appearing in just 39 games. He only had 49 at-bats in ’75 and a batting average of a very low .065 with only 3 hits. Notes From Career: Robinson’s career spanned six seasons as he played for three different teams. He has a lifetime batting average of .219 with 157 big league hits to his credit. 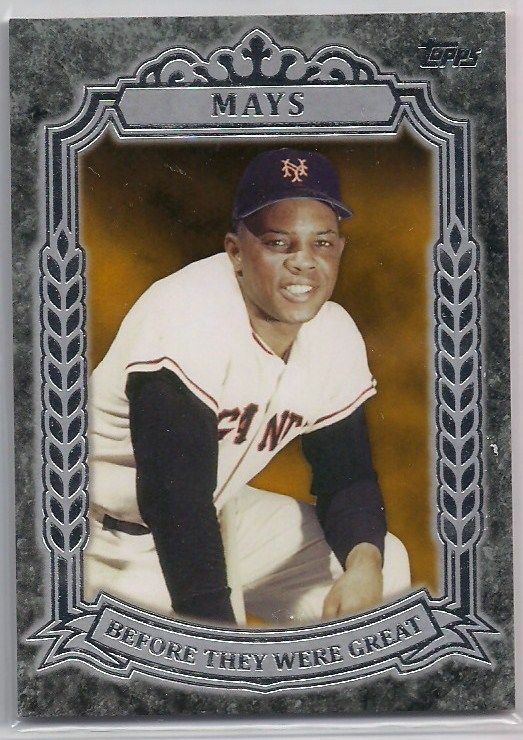 Willie Mays was the first player in major league history to connect for 300 home runs, steal 300 bases, and reach the 3,000 hits milestone in the same big league career. HOO-RAY!!! 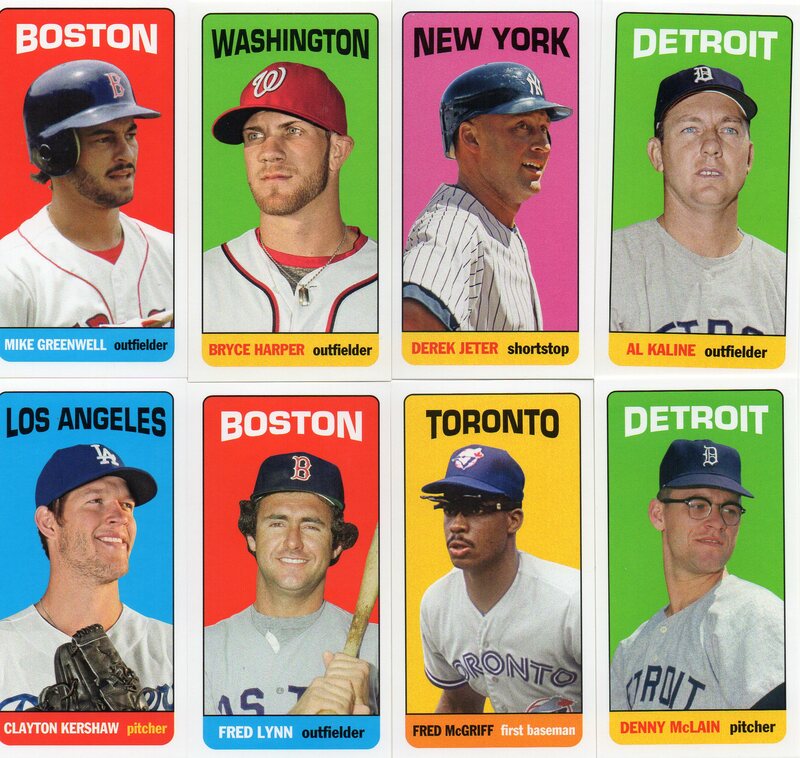 My 2013 Topps Archives ‘Mini Tallboy’ Subset Is Complete!! Yeah baby, the biggest subset I have tackled in years is finally complete. And it took a lot of work to get here. Thankfully, I had some help with this one. Some trades, some donations, and some shared information all helped me get this one done. 40 cards deep, this set is big. 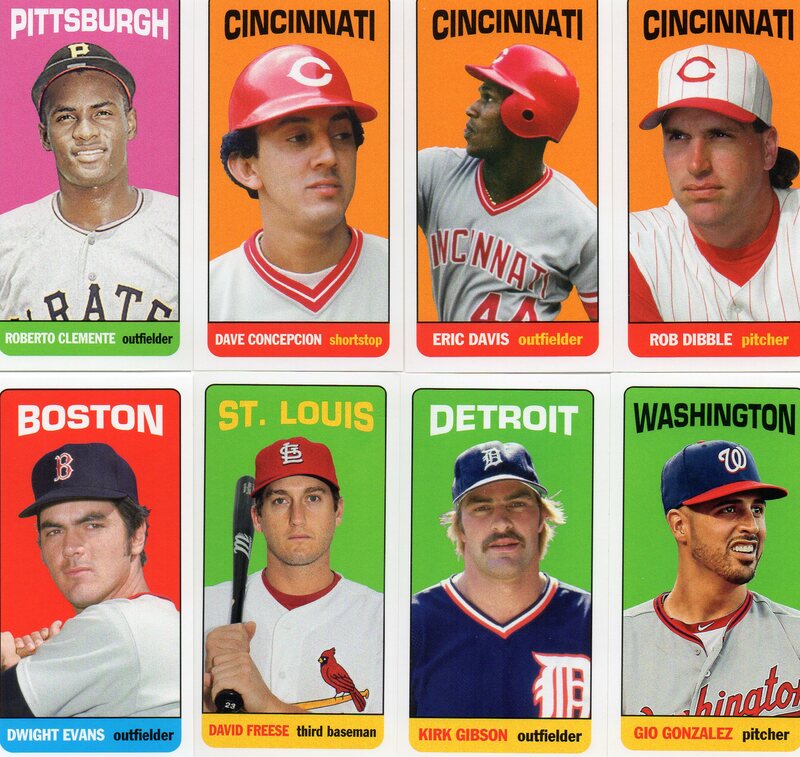 But, the theme is right up my alley – full of modern and vintage players all on a sweet design. The set is nice, and I am digging how it looks all together like this. In my album, it is not as clean looking as the cards have a ton of room to shift and slide around in the standard sized 9-pocket page, but I will get over it. As for the players included in the set, there are a few questionable things going on, but overall I am OK with the checklist. 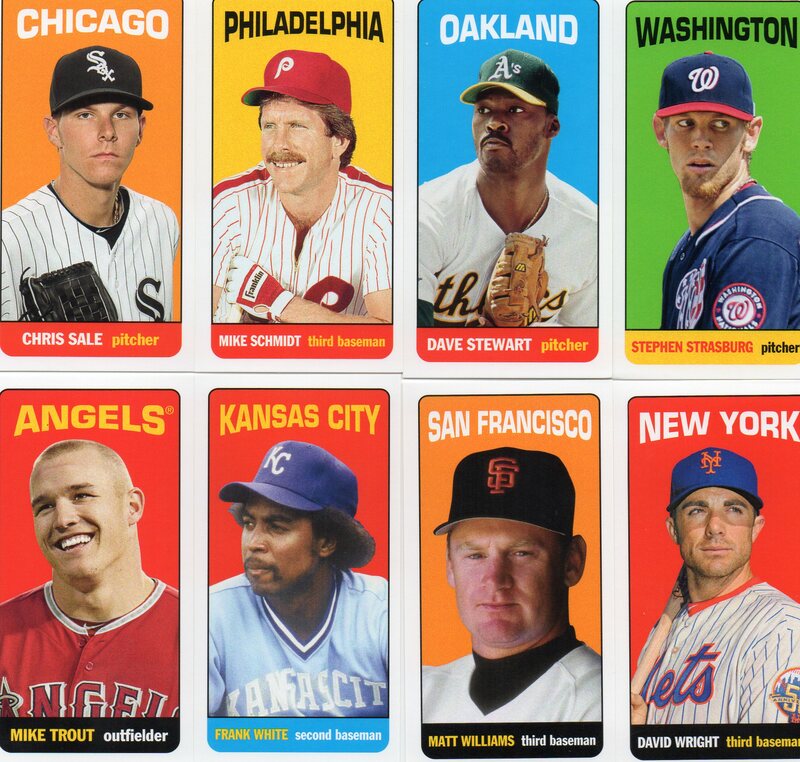 I love the inclusion of Stewart, Concepcion, Greenwell, and Parker but I could have done without some of the others. 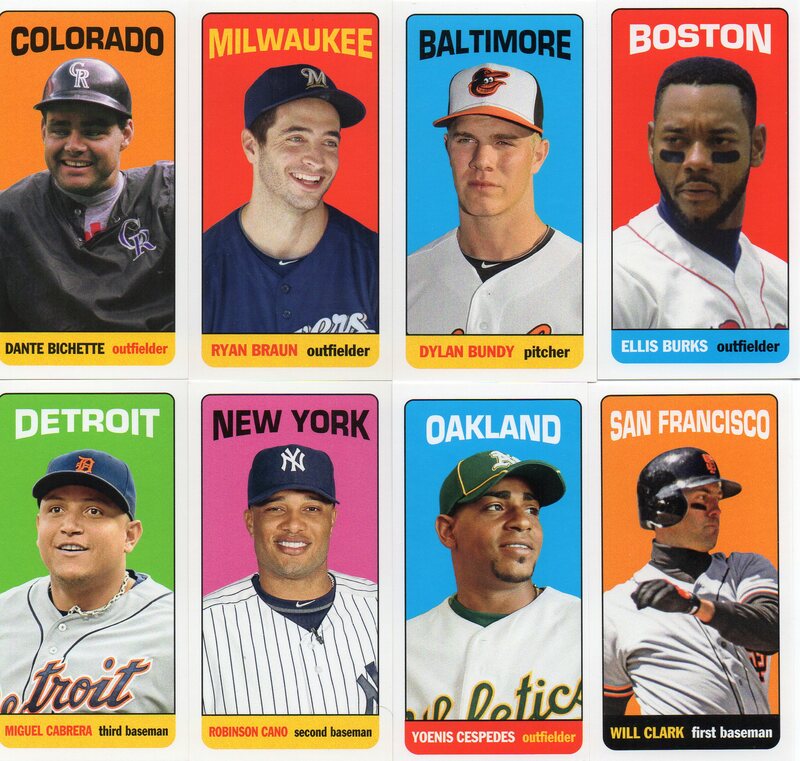 And way too many Red Sox in the set – 5 out of 40 cards when teams like the Marlins were not recognized at all. Overall, I love it. 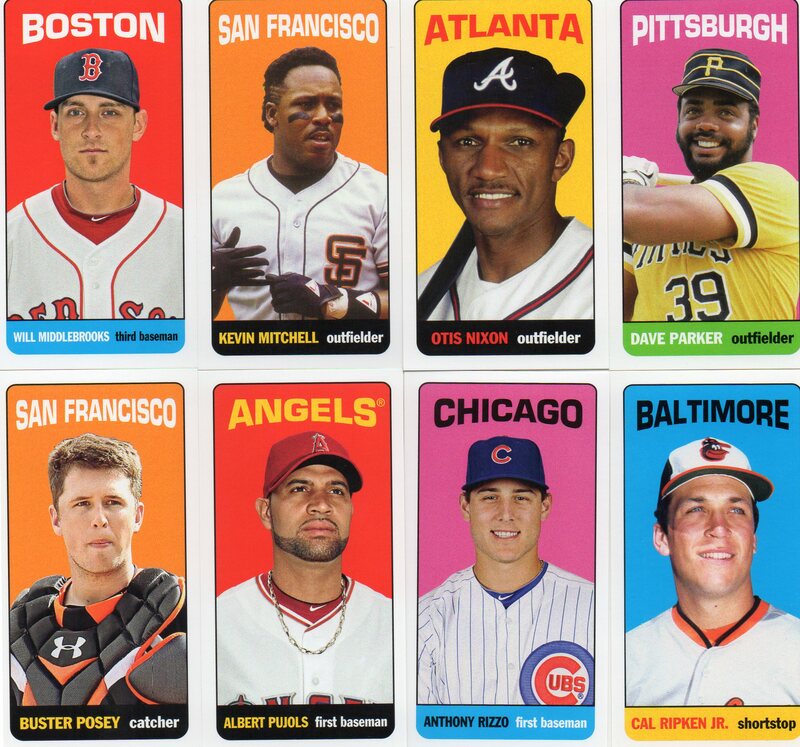 And I am very happy with my decision to put this set together when released with 2013 Topps Archives.